The police’s plan on dissociating the supporters group for Jasic Workers and the masses with a second video confession has failed. After having witnessed so many public incidents ending with TV confessions, is it astonishing and disappointing anymore? In September, 2011, villagers of Wukan protested for unauthorized selling of collective lands and conflicts with the police burst out. After five years, Lin Zulian, the village representative legally selected by the villagers was arrested on suspicion of taking bribes. Five days later, he confessed on TV. 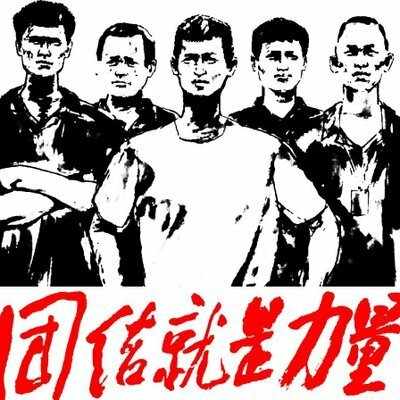 On July 9th, 2015, mass arrests on lawyers assisting defending rights occurred throughout China. It all started from Qingan Incident in March when those lawyers supported Xu Chunhe who was shot during petition. One year later, the lawyer Wangyu confessed on TV. In October 2018, hundreds of PLA veterans gathered in Shandong from various parts of China and required the government to apologize to a veteran beaten during petition and to improve their treatment. In December, CCTV determined the protest as a “violent crime incident” with some of the veterans confessing as well. Between 2018 and 2019, Wang Linqing, a judge at Supreme Court, recorded several videos revealing the inside story of a major case. After two month of disappearing, he admitted on the investigation reporting on TV that he stole the file by himself just to make trouble. The high-sounding confessions seem engraved with the might of law enforcements, but it never cover the truth. With people’s eyes discerning, the similar points of the confessions are easy to discover. 1. Suspects in the video usually disappear for months or longer without reasons. Relatives and friends have no ways to finding them or even “disappear” as well. As for the mass arrests on July 9th, after a year of their missing did the news that the lawyers were released on bail pending trial and got sentenced. In Jasic Incident, those appearing in the video confessions have lost contact for about half a year, lawyers failing to reach them. Even some of them were detained with a fake name. According to the law, thirty seven days is the limit of detention, exceeding which the public securities have to make a resolution including confirming as innocent, arresting, releasing on bails pending trial or residential surveillance and stop detention. However, we are still cut off from many of them after thirty seven days. In the period of disappearing. what have they gone through? 2. The missing people often suffer from long-lasting abuse, confessions being extorted by torture and fatigue interrogation occurring at times. Some are even threatened by the danger of their families. After being released, some workers who supported Jasic Movement exposed and accused the illegal abuse during detention like insulting, binding their hands, riding on their necks, pulling hair, closing toilets and pepper-spraying. Fifty people are confined in a room capable of accommodating only a dozen of people. They slept sideways like fish in cans. Apart from physical torture, their dignity was also deprived. The jailers use high-definition cameras to surveil prisoners’ behaviors. Only when jailers call them to dinner can they eat and when approve can they go to the toilet. Here jailers themselves are rules against which the suspects are not allowed to fight — otherwise they will be welcomed with a variety of corporal punishment. Everyone will be shocked at the sight of the red words “HATE” and “GOD” written with blood on in the walls of the cells. We never know how many wronged souls have been imprisoned in the dark prison. In Xinjiang Province, millions of people are forced to get brainwashed because of their religious beliefs. In the Re-education Camp, there are always two of the “students” dragged out and beaten by the idle guards every day and the rest of them listen to the screams with panic. Without singing hymns for the authorities before a meal, they are not given food. The “re-education” is but manufacturing ever-obedient and humble citizens by fright. According to “It is everyone’s duty to expose torture”, a letter to leaders of those countries against torture from relatives of the victims during July 9th Incident, Wang Qiaoling and Li Wenzu, the main writer of the letter, have communicated with several lawyers released after their arrest. They said that forcible medication, fatigue interrogation, beating, water jail, and threats on the lives of relatives were common penalties at the early stage of imprisonment — six months of residential surveillance. Dr. Tan Qindong was arrested and then detained for nearly 100 days because of exposing fake advertisements of Hongmao medicated wine. On May 11, he was summoned for interrogation for twelve hours and behaved abnormally (crying, banging his head and self-mutilation) on arriving home that night. He had no alternative but to be sent to a psychiatric hospital. On the 17th, he wrote down a letter of apology, which everyone knew it contradicted with his conscience. Facing extreme pains and pressure, unless keeping very strong will, one can easily collapse and beg for living. The evil forces in politics-and-law systems use exactly such fact to gradually wear out the suspects’ souls and lead them into the trap for confessions. 3.The confession, most of which were not the expression of their real mind, was prepared in advance. Similarly, the video is probably not the product of their voluntary behaviors, but a passive one. Wang Yu, the lawyer fighting for defending rights discovered that her only son was arrested and threatened severely after being detained for more than 300 days since June 9 Incident. She had no choice but to make multiple video confessions following the forcible requirements and manuscripts in return for lenity: livelihood of her son. Gao Yu, deputy editor of “Weekly Economics” was even worse. In April 2015, she was sentenced to 7 years for “disclosure of state secrets to illegal organizations abroad”. The authorities made video confessions with candid camera without her knowing. Her head was mosaic in the video because the voice was not synchro with her mouth. 4. TV confession is ready. The mainstream media will promote it. The mainstream media will guide public opinion and turn the rights violation into an illegal case. Next, the sentence will be a matter of course. In the face of Shandong Pingdu’s veterans who want to maintain their rights, the news broadcast, China News Service, Chaowen Tianxia, and the People’s Liberation Army Daily were all dispatched. These media claimed that “the Shandong Pingdu criminals used the name of “retired soldiers” and arbitrarily beat the violent assault police”, describing the veterans as obscure and deliberately disturbing the rogue of society. After the judge Wang Linqing pleaded guilty in CCTV’s interview, the People’s Daily, Beijing Daily, Global Times, Xinhuanet and other official media once again rushed to start the machine of public opinion. Our media uses the official calibre as a sword, acting as a mouthpiece for propaganda and a pawn of trial. Although they have a lot of reports, they always keep their mouths when talking about human rights. What they concealed is the persecution of prisoners and the sins of repentance by means of extorting confessions by torture. After successful suppression of public opinion, all acts of defense are impossible. The suspect was convicted of a speedy sentence. Five years after the Wukan incident, the village director Lin Zulian, who was elected by the villagers, was taken away. The local government quickly characterized the incident as “outside media” to incite and plan the incident and play a video of guilty plea. Officials claim that all interviews that have not been applied for and approved are “illegal”. The masses have a rare truth, and the “truth” can only be smeared. What’s more, the official can also tear off the fig leaf of public opinion and directly deprive you of your legal defense rights. The dozens of people arrested in the Jasic incident have no news so far. Their lawyers wanted to get in touch with the client, but they were all kept out of the door and even threatened to revoked their license and banned from acting in such cases. Some lawyers received the statement of “decommissioning and refusing to meet” written by the client, but the credibility of the statement could not be confirmed. It is even more unreasonable: how can a person refuse to reach out to his helper in difficult times? If you can’t get in touch with a lawyer and lose your right of defense, you are not far from prison. In that way, with the so-called irrefutable evidence, are video confessions with Chinese characteristics legal or not? First, the biggest flaw lies in prejudging, which violates the doctrine of the presumption of innocence in the penal law. The videos subtly mislead the public with first impressions：now that the people concerned have repented on the table, how can the charges be fake and how can the process of the public security organs be unjust? We should always bear in mind that the guilt of a suspect depends on the final sentence of the court, not an account given by one only. With the control of the propaganda machine, reactionary forces disregarded the facts and declared the suspects’ guilt in advance based on their confessing personally. Such behavior has invited suspicion of arrogating the court and obtaining the power of conviction unlawfully. In the next place, extorting video confessions by torture has violated their human rights and trampled the legal system. We have to ask why the suspects have been imprisoned for months in the name of “accepting the education of public security organs” before being sent to court? The photos of Dr. Tan before and after him being locked in the detention house have made us believe that with no connection to the outside world, most video confessors failed to tough out the physical and spiritual torture. Apparently, video confessions are actually illegality in the disguise of “rule of law”. Then why the authorities deliberately break the law while in charge of their enforcement? Finding the real gainer behind the video confessions will tell us which side is law on. Before the July 9 incident, rights-safeguarding lawyers kept active in fighting for labor human rights in Southeast China. They particularly assisted a great number of petitioners in maintaining their interests. The mass arrests and the following video confessions grossly struck the lawyers, and since they were suppressed, will the groups they are protecting still be intact? Quite good news for the capitalists and bureaucrats who ride roughshod over the workers. During the Jasic incident, workers demanded forming a union to defend their political and economic rights. Officials and the police pretended to be illiterate towards the labor law written down in black and white. While keeping locking up an army of students and social persons in support of Jasic workers, they have made a second video：an illegal organization plotted the whole “workers disturbance”, and since the organizers have admitted their guilty, it is others’ turn to be executed! On the authorities’ command, dictatorship of all parties cooperated in suppressing the workers by violent arresting, articles deleting and video confessions like a closed-loop. Laws here merely serve for puppets instead of a weapon defending the interests of people. It is clear that men are not equal in front of laws: there are always ones “more equal”! Therefore, it is meaningless for us to ask why petitioners never have a voice except in video confessions. Laws are bare tools for rulers to murder its people when the suspects are sentenced publicly and confess on TV. First they came for the villagers of Wukan, and I did not speak out because I am not a villager of Wukan. Then they came for the lawyers fight for human rights, and I did not speak out because I am not a lawyer. Then they came for the pneumoconiosis patients, and I did not speak out because I am not a pneumoconiosis patient. Then they came for the PLA veterans, and I did not speak out because I am not a veteran. Then they came for workers forming a union, and I did not speak out because I am not the worker. Then they came for me and there is no one left to speak for me. If petitioners like workers, Lawyers, villagers and veterans are separated in corners, they never gain the power to fight against might and capital. We will have no chance but to unite. The painful “confession” of our comrades will only stouten the determined. Even if we are cracked down continuously, the supporters group will not give up struggle, but ally with people all over the world instead. We are invicible!